The reason that some injuries completely heal on their own and others don’t has to do with circulation. In order for a damaged area of the body to regenerate and heal, it must have the critical elements that only the blood can provide: vitamins, minerals, and oxygen. Of these, by far the most important is oxygen. Low levels of oxygen cause an accumulation of lactic acid, which is what causes pain. It is a simple injection technique that can be done in the office of a specially trained medical professional and works in a few ways. First, homeopathic anti-inflammatory medications are injected into the injured area to reduce inflammation and swelling. This leads to increased circulation. Next, the area is treated with vitamins and minerals that are critical for healing. And finally, the area is infiltrated with oxygen in the form of ozone. The result is that the tissues get what they need to heal. As tissues heal the circulation to the area is re-established, and the treatment is complete. The response to treatment varies from person to person, but most people only need from 2-5 treatments. Prolozone works on just about any pain problem you might have, including plantar fasciitis, carpal tunnel syndrome, torn tendons, heel spurs, neuromas, tennis elbow, rotator cuff tears, knee injuries, and virtually any other sports injury. Because treatments can also result in cartilage regeneration, the technique is also remarkably efectiv even for severe cases of osteo arthritis of the knee. Prolozone is not just a treatment for pain. The results actually can represent a permanent fix. 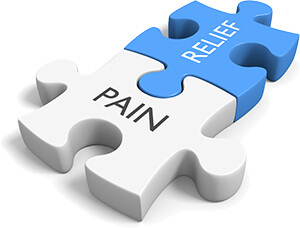 It is a safe alternative to surgery and other pain therapies. Contact our office if you would like to have a consult to see if prolozone is the right choice for you.